With this post I want to congratulate my dear blogger friend Marianne of Nordic Bliss to her first bloggerversary! 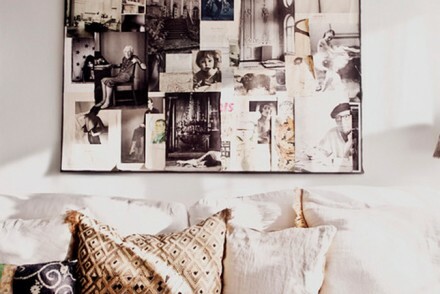 Her blog is an inspiring source for nordic ideas and her webshop a great address for Scandinavian home goodies. Such as these beautiful wooden candlesticks. When I spotted them almost half a year ago I ordered them right away – ever since they are a cute embellishment to my living room, perfectly matching my little globe and succulent on my flashy yellow side table. I love the weathered look of the wood and the simple, Scandinavian shape. If you want these beauties for your home too, all you have to do is leave a little comment here and tell me what other product in the Nordic Bliss webshop you like. The giveaway is open for readers across the EU till Saturday midnight and the winner will be announced in the comment section here, on Twitter and on Facebook. Good luck! I love them! Have some similiar in white and they would fit perfectly together! These are absolutely fantastic, would love to win them ! 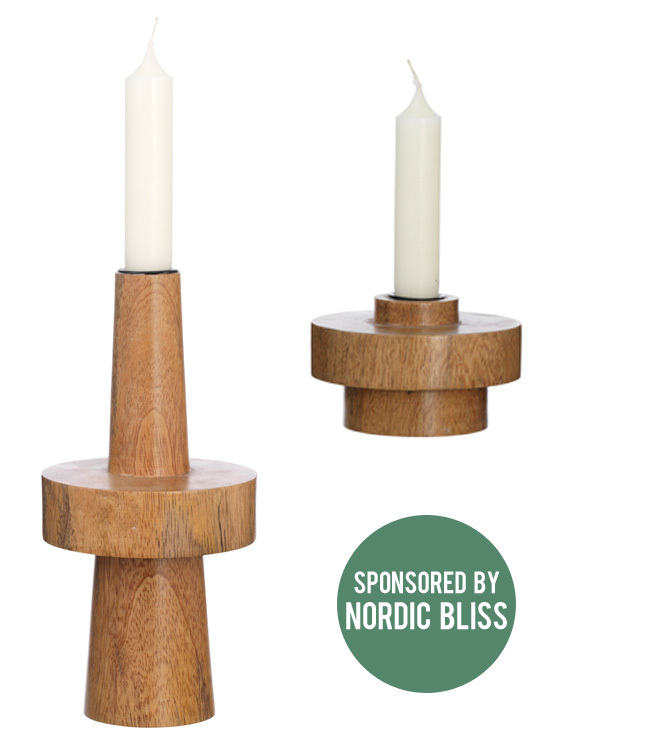 Oh, I love Nordic bliss and these candlesticks are so great! I love the Candlesticks, solid and cool. Having looked round the Nordic Bliss Webshop I found lots of things I really liked but one of my favourites is the Ylva Skarp print “Be Yourself”. I can just see this on my wall. and amber vases… so great! These candle sticks are simple but elegant. I would love to display them at Christmas. These would make great gifts as well! Oh so beautiful,i like it. Love the candlesticks. 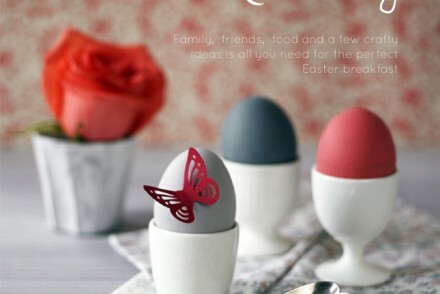 I love the embossed tray on the Nordic Bliss site. These trays look lovely and cast a warm glow, when covered with glass tealight holders, on a cold winters night. Very pretty candle holders and happy first bloggerversary Nordic Bliss! A very interesting shop to have come across indeed! I really enjoyed all their small storage products and Baskets in felt and Wire baskets were my favourites! The candlesticks are wonderful! I like the knitted crochet plaid and the basket in metal too!!! Gorgeous candlesticks! The wood and the simple design is so calming. Furthermore I like the “Hanging cradle”. I love these candlesticks. Simple yet lovely. I’m also loving the lovely Golden Bowls and the round wool rug. would love to have them in my home … sadly I’m not in EU …. time for me to move Igor!! No worries Tim, you have a EU address anyway, so you’re in! I want one of this!!! Goodmorning from rainy Paris! I just moved to a new apartement so after revisiting my decoration ideas, I would be so happy having this pair of Candlesticks in the living room… I am often following your blog Igor and the one of Nordicbliss and I am visioning my life through your posts ; ) I love the felt basket (in grey), as well as the wire basket. And the glass vase kai and kate, put together they seem so nice! Great give-away! These candle holders would be a perfect fit for my living room, as also Ylva Skarp prints, which are one of my favorites from Nordic Bliss shop! Yeah! A giveaway open for EU readers! What a great giveaway Igor. I love Nordic Bliss and I always visit regularly to check out the new products that Marianne picks out with her stylish eagle eye! At the moment my favourite items are the desk lamp with antique finish and the wire storage baskets. Divine! The giveaway is closed now and we have a happy winner thanks to random.org. It’s the comment by the user ‘Magalerie’! Congrats!!! 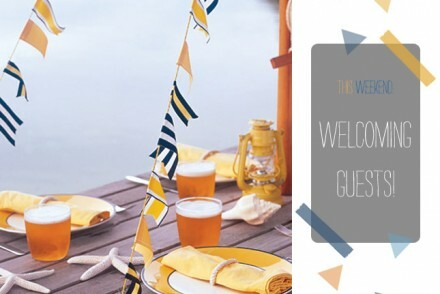 Please send an email to happyinteriorblog@gmail.com with your address! 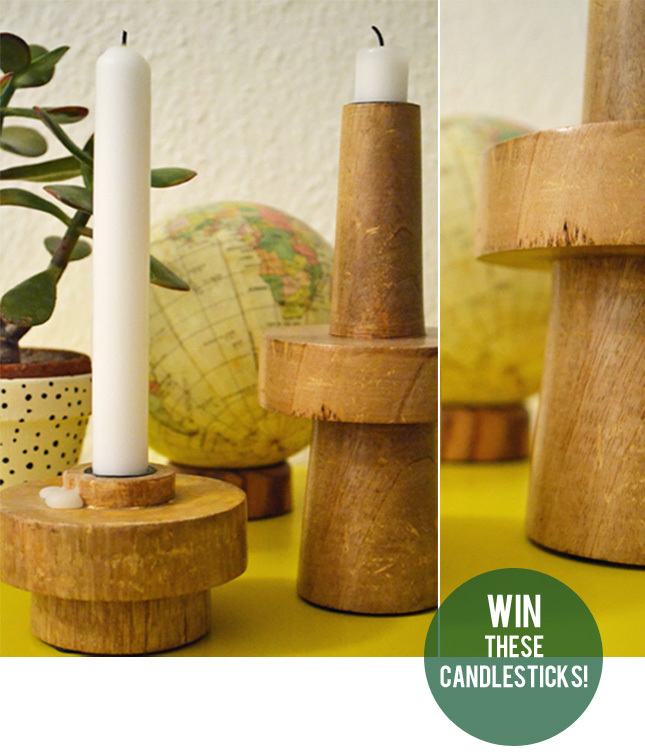 These are awesome candlesticks, definitely wanna win them!! Hey Anthony, I am very sorry but the giveaway has already closed. But there are more giveaways on the way. Stay tuned on the blog!